Hello, dear artists! 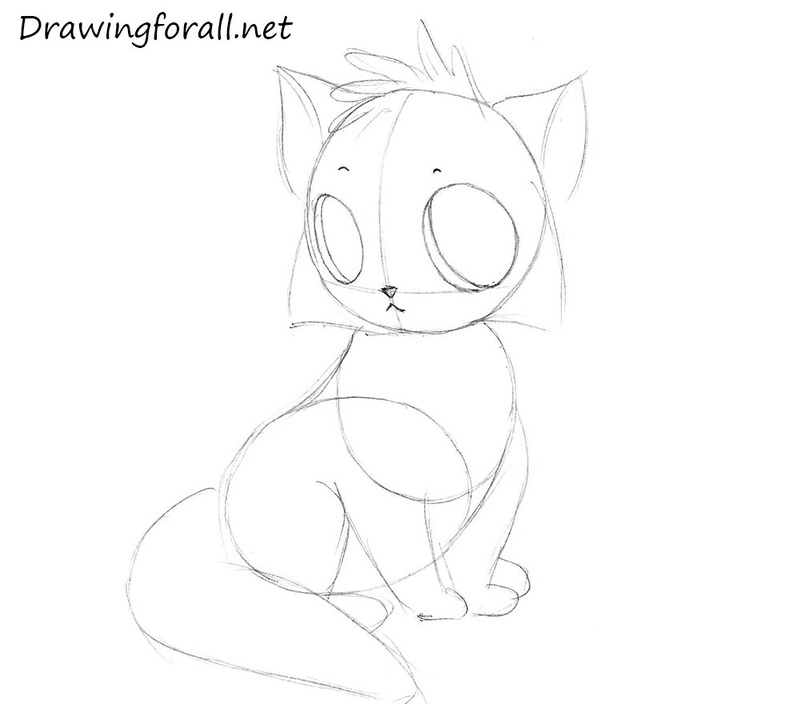 Today, in our drawing school, we will show you how to draw a cartoon cat. 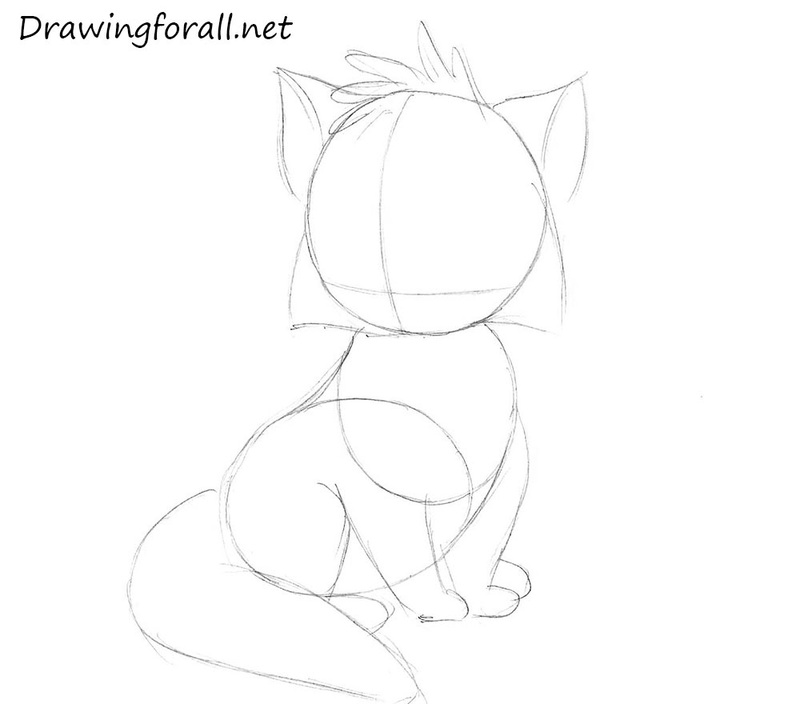 Note, that we have another one tutorial about how to draw a cat. So, let’s start the tutorial! 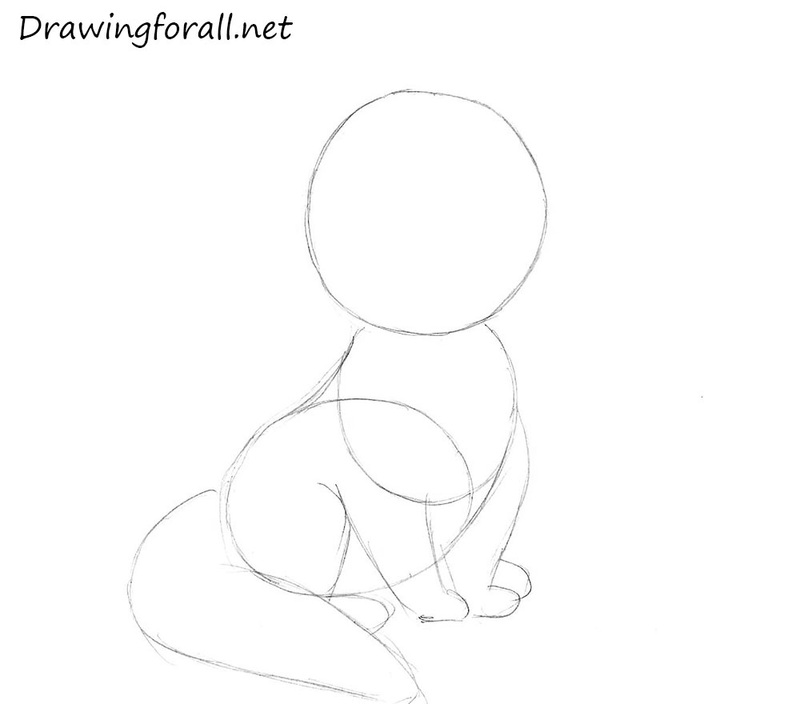 At first draw a circle for the head and two ovals for the torso. 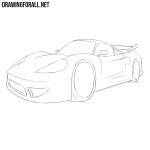 Note that in the first steps all the lines should be smooth and light. 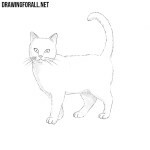 Draw the guidelines for the tail and feet as in the example below. Draw the lines of facial symmetry. The vertical line will help us to find the center of the face, and the horizontal line will help us to draw eyes. Sketch out the ears and hair. Using the guidelines from the previous step draw the eyes. At the intersection of the lines draw the nose. 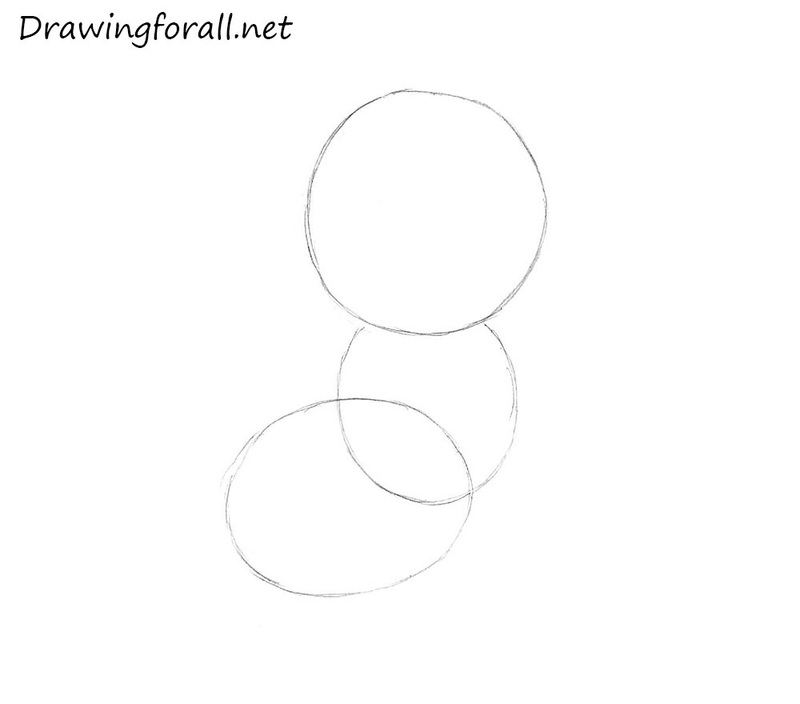 Just below draw the mouth. Draw eyebrows above the eyes. Erase the guidelines from the head. Make the line more smooth and even. 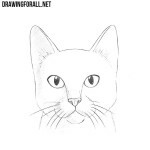 Draw cat’s whiskers using short lines. And we continue to draw a cartoon cat. Using a dark pencil paint the eyes. Leave the white glares in the eyes. 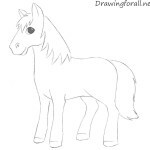 Draw hair on the chest and tail. Using short lines draw fingers. 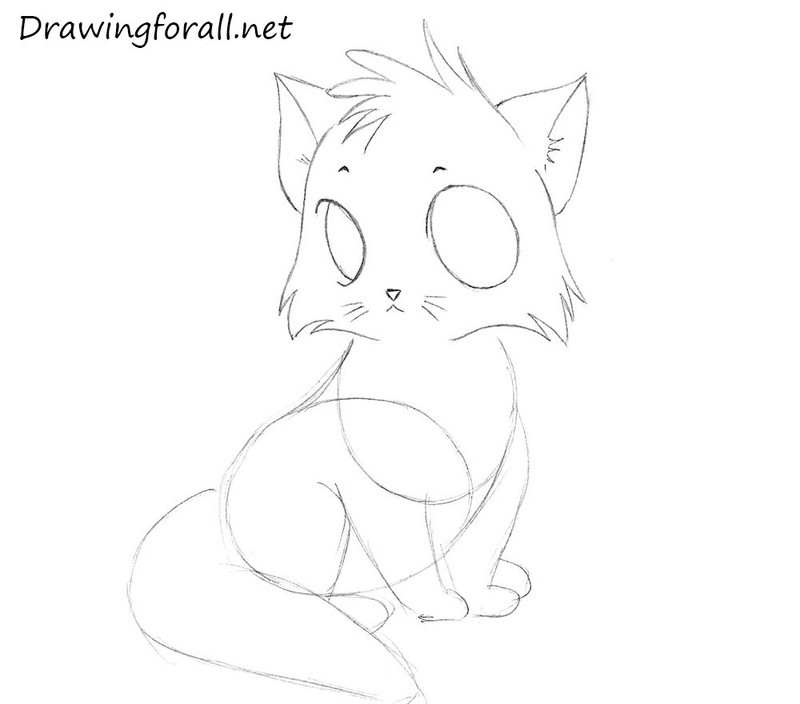 So, we have reached the last step in the tutorial on how to how to draw a cute cat. Erase the guidelines. Darken the lines. Make them smooth and even. 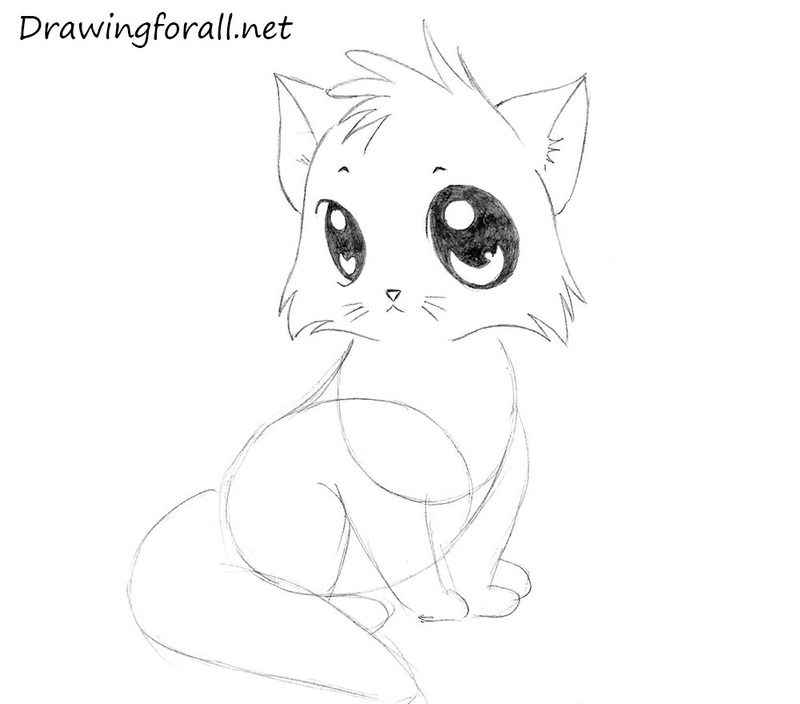 It was the drawing tutorial for kids in which we taught you how to draw a cartoon cat. 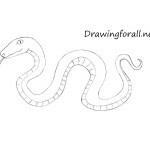 Come back to drawingforall.net to learn more about how to draw cartoons. Goodbye! OMG! i realy like it! it’s so cute!